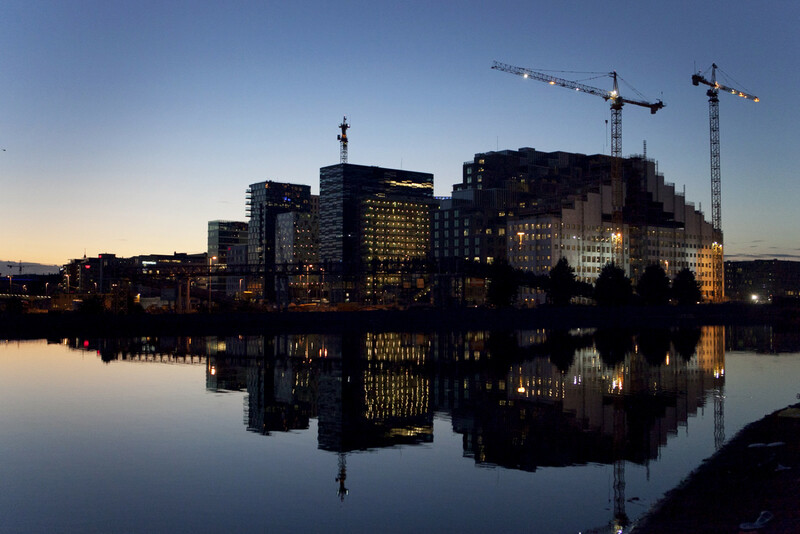 PROGRAM: 200 000 m2 offices, retail and residential. 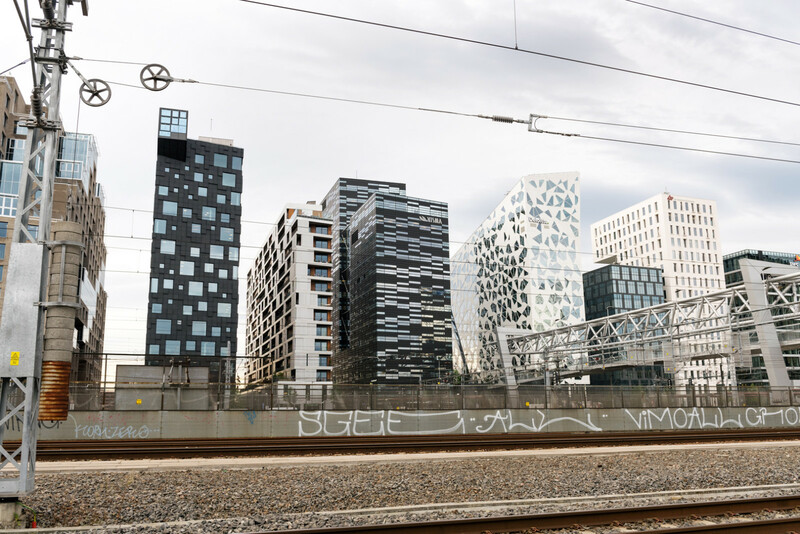 Conceived as radical architecture with little reference to its surroundings, Dark's contributions to the Barcode development address both the topology of downtown Oslo and urban conditions themselves, by insuring the ground-floor and public passages are integral functions within the building. The master plan for the area established the principle layout for the built-up area, including a boulevard for local and public traffic (the main road was solved with a tunnel through the bay) and the location for the new opera house. 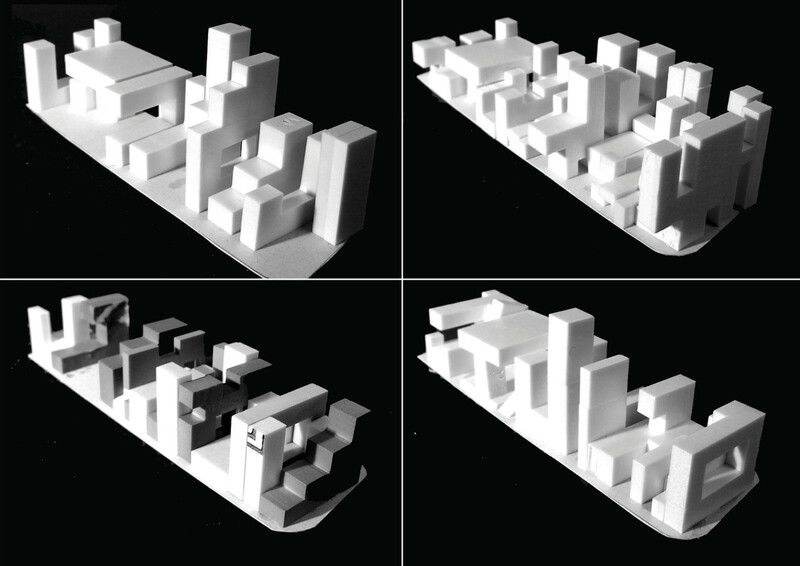 The plan devoted one million square metres to housing and office space, mixed with public service, shopping and culture. 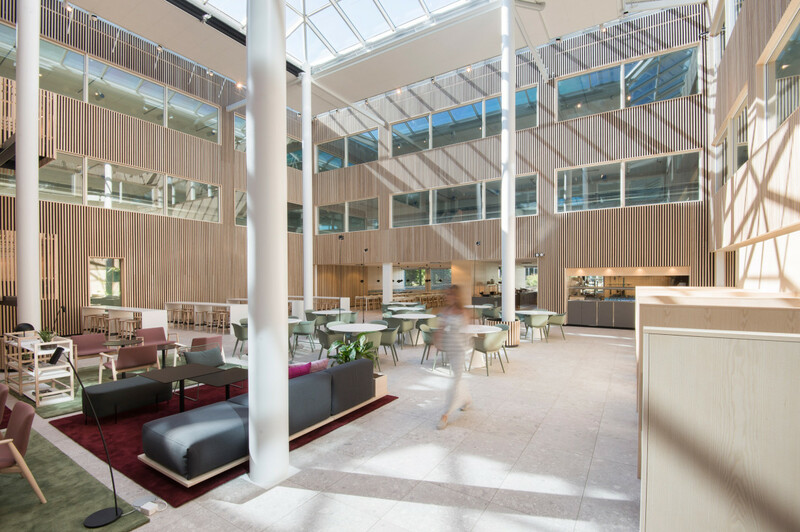 Dark won with Norwegian architects A-Lab and Netherlands-based architecture and urban design firm MVRVD for their Barcode proposal, which functioned as a set of rules governing the buildings' design rather than a finalized solution. Siteplan. A public concourse on the ground floor connects all the volumes of the Barcode. 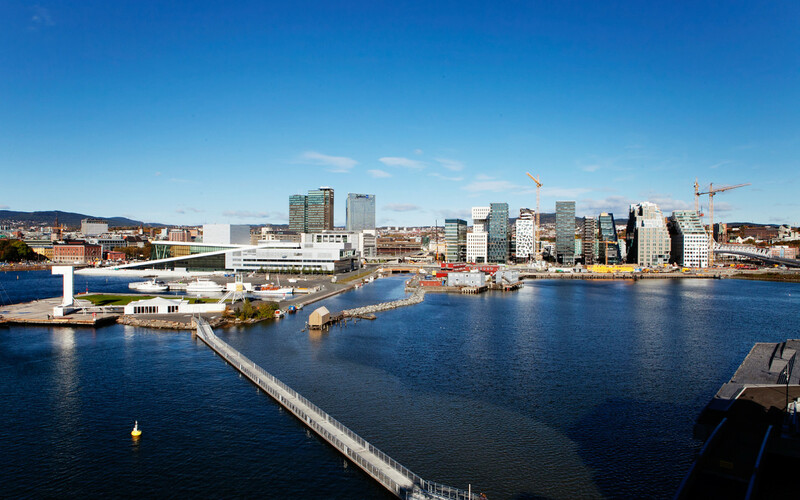 The area of Bjørvika was once referred to as "the kitchen entrance to Oslo". 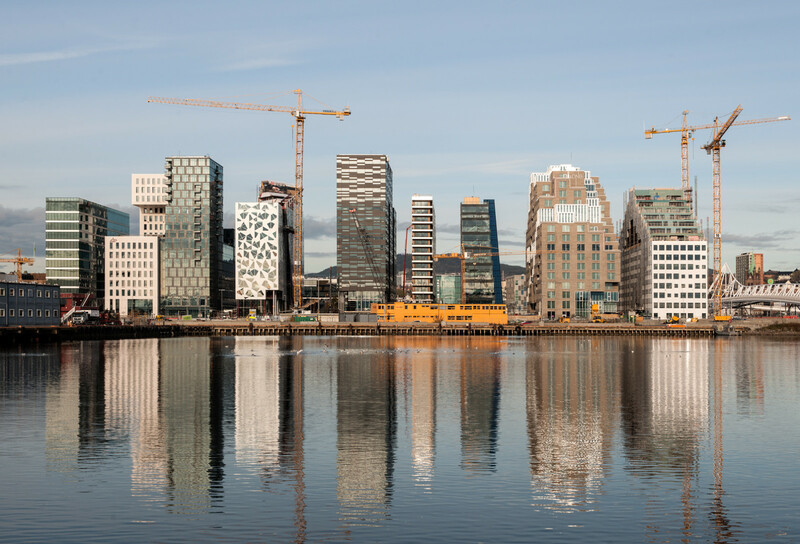 Its port, warehouses, shipyard and heavy highway structures were functional, beloved by dockworkers and ugly in the grand haphazard way that monuments to industrialism can be. 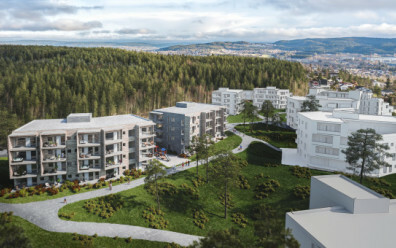 When the city put out a call for proposals to transform the area into a dense mass of residential and commercial spaces – complete with shopping centres, cultural attractions, public boulevards and eateries – Norway's leading architecture firms were invited to compete for the strip of blocks closest to the railroad station. 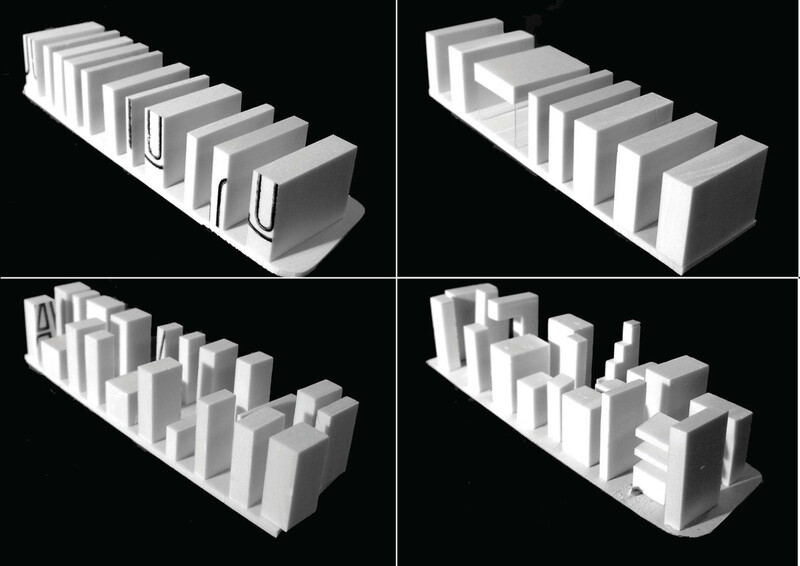 The aim was a heterogeneous clutch of buildings, each with its own unique identity, that worked together as an ensemble to follow the footprint of the barcode emblem that lent the proposal its name. The 200,000 square metres dedicated to Barcode were conceived as a continuous volume running between the two streets to the north and south of the grand boulevard. 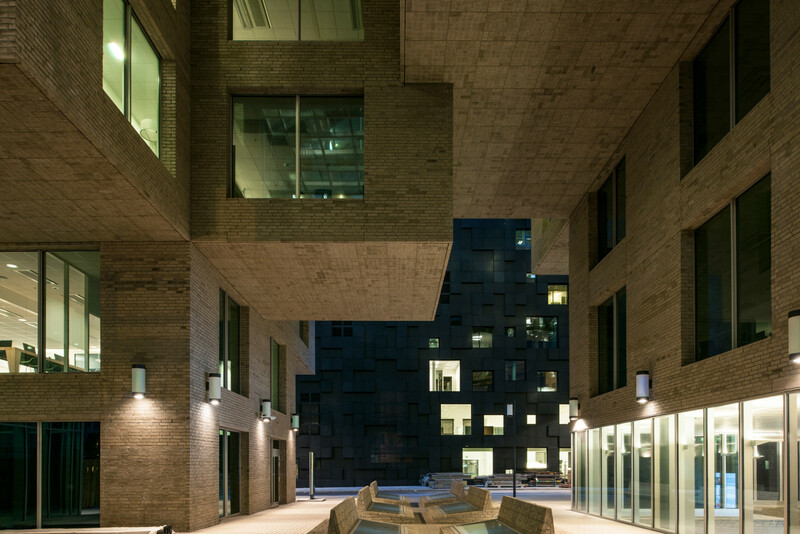 They differ in width and height so that each of the blocks has a special volume – meaning that each volume has an individualized sculptural design; uses different materials; and has a unique facade – both to vary the look of each building and to maximise the number of companies whose main facade could face the boulevard. 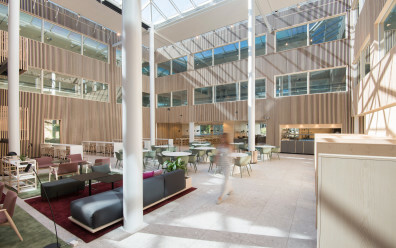 While varying in volume, expression and material, Dark's buildings for the project – new headquarters for Visma and two of three new office buildings built for DNB, Norway's largest financial service group – harmonize formally in their geometric "pixilation" and segmentation, and programmatically in their integration of public and commercial spaces. 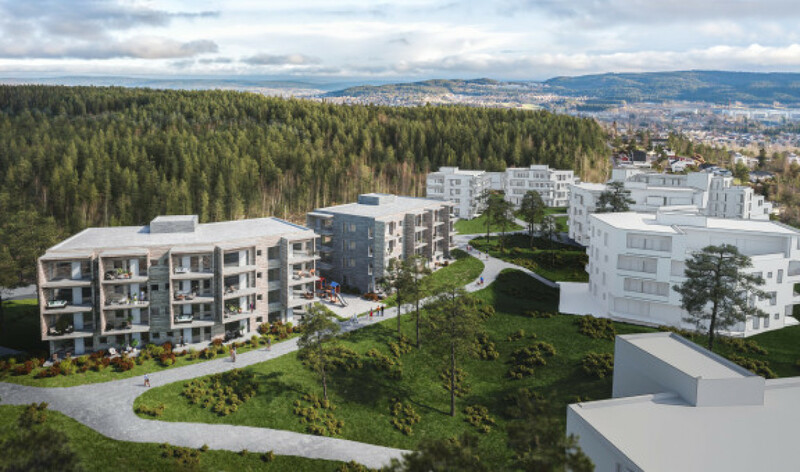 When it is completed in 2016, the Barcode development will contain approximately 400 dwellings and 10,000 workspaces. The development features 50 percent green roofing and a variety of retail and restaurant accommodations at street level.